Being part of the Homeschool Review Crew has many benefits. One of those benefits (and perhaps my favorite) is a Yearly Membership to SchoolhouseTeachers.com. Schoolhouse Teachers is a collection of over 300 classes for preschool through high school grades. But don’t worry about getting overwhelmed, there are tutorial videos to help you get started. There are so many reason to love SchoolhouseTeachers.com, but here are my top 10. . . Anywhere you have access to the internet, you have access to SchoolhouseTeachers.com. And if you know you won’t have access later (hello road school), you have the ability to download the lessons to read or watch later when you’re ready. You can use pretty much any device. We’ve used desktop computers, laptops, Chromebooks, Android phones, iPhones, iPads, Kindle Fires . . . like I said, just about any device. Got a little one in preschool? You’re covered. Got a teen getting ready to graduate this year? You’re covered. Maybe you’re like me with both! 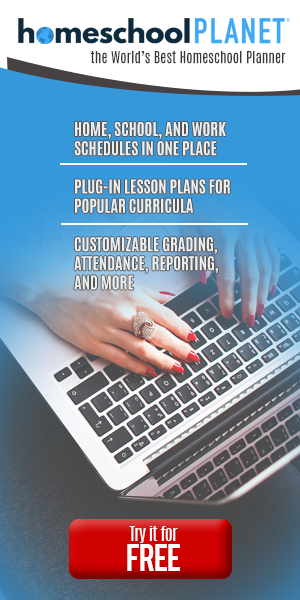 Schoolhouse Teachers truly is a one stop shop for homeschool curriculum. I can login quickly to download some Charlotte Mason nature activities for my preschoolers, some algebra lessons for my 8th grader, and some chemistry for my senior- all within just a couple of minutes. The new layout is amazing. I can search by grade, subject, or use the quick links page that has everything listed on one page. Talk about convenient. 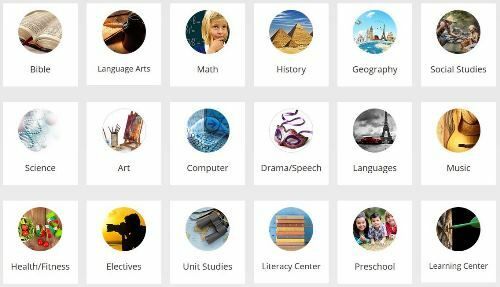 Not only is there content for every grade, there’s also content for every learning style. You’ll find unit studies for the hands-on kids in your life. There are video courses for those who need that audio/visual element to make ideas connect. Or, if your kid likes texts books- there are a plethora of lessons that can be read. One of the biggest things that I really appreciate about SchoolhouseTeachers.com is that they offer fully credited high school courses. For each of the high school/upper middle school classes, they have transcript information. Credits awarded and how they are awarded (completion, mastery, or hours) are included. Most of the classes also have certificates of completion you can print off- that’s site-wide, not just high school. Schoolhouse Teachers offers the family an opportunity that is seldom seen elsewhere—a chance to have fun learning together. Through our family courses, you can cook, craft, read, sing, exercise, eat right, dig into Scripture, and more . . . together! Isn’t that great? From Bible classes to Family Fitness and Music, you’re sure to find something that your family can enjoy as a whole. Like I said earlier, you can find what you’re looking for by searching by grade, subject, or the quick links page. What’s even more convenient is that things are cross-referenced! What could have been an enormously overwhelming task has been made into simple, fluid paths of seeking and finding. Well done, Schoolhouse Teachers. Well done. So now that you’ve got all these classes you want your children to take, it’s time to plan it out. There are multiple ways to do this as well. For someone like me who loves the pencil and paper method, I can print off schedules, lesson plans, and planning pages to put in my homeschool binder. For those more technologically inclined, they now offer a Custom Schedule Builder. You simply plug in what days you want your child to work on which subjects, add your links at the end (optional), and then either print or email (after downloading) the schedule! 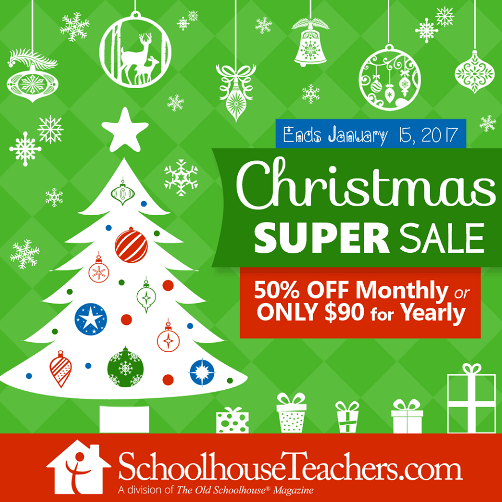 Membership to SchoolhouseTeachers.com provides your family access to hundreds of streaming videos from providers including: Creation.com, Drive Thru History (! ), Vision Video, Discovery House, Boat Angel, City on a Hill, Right Now Media, and more. These are all included with your membership. There is a whole section just for us- the parents. You’ll find tools that are just what you need to make your homeschooling journey easier. You’ll find schedule builders, report card creators, a scope and sequence, and special needs help. You can use their resources to streamline your household tasks with organization tips, monthly menus, and whole foods cooking. Get encouragement through Bible studies, parenting articles, and homeschooling tips from veteran homeschoolers. Click the photo below to get started now, you won’t be sorry you did. Did you know we have been working hard behind the scenes to ensure that SchoolhouseTeachers.com has a heavy emphasis on STEM? Not just STEM, but also STEAM (the arts!). If you want your children to have access to all the classes they want on Science, Maths, and Art courses, plus all of our reading, history, and language arts classes–not to mention all the electives–jump in now. If you only purchase one new curriculum this year, make it SchoolhouseTeachers.com. Every grade, Every subject, one price. You just can’t beat that.